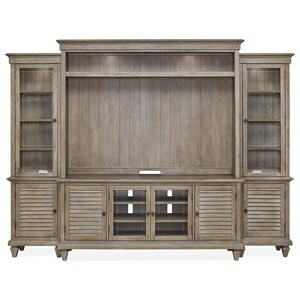 Make a grand statement in your living space with this beautiful entertainment cabinet. The piece is finished in a bold cobalt black finish that allows the bisque finished sliding farmhouse doors to shine. The main, center area houses space for your TV, as well as two smaller compartments perfect for media devices and four drawers. 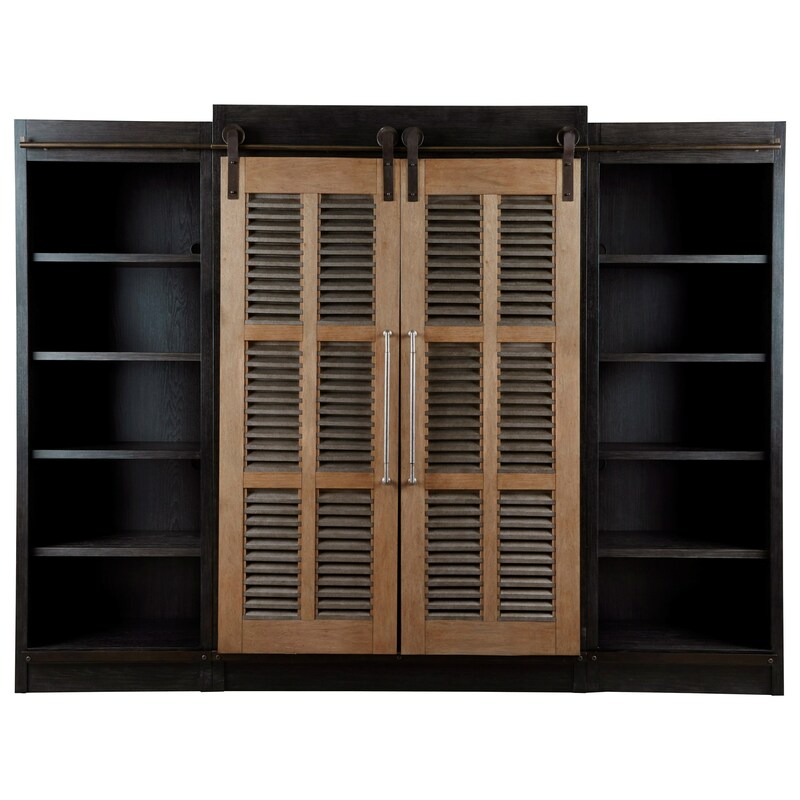 The two ends contain four shelves each for a plethora of beautiful display and storage opportunities. The Curated Darcy Entertainment Cabinet with Sliding Farmhouse Doors by Universal at Reeds Furniture in the Los Angeles, Thousand Oaks, Simi Valley, Agoura Hills, Woodland Hills, California area. Product availability may vary. Contact us for the most current availability on this product. The Curated collection is a great option if you are looking for Rustic Transitional Rustic Transitional furniture in the Los Angeles, Thousand Oaks, Simi Valley, Agoura Hills, Woodland Hills, California area.